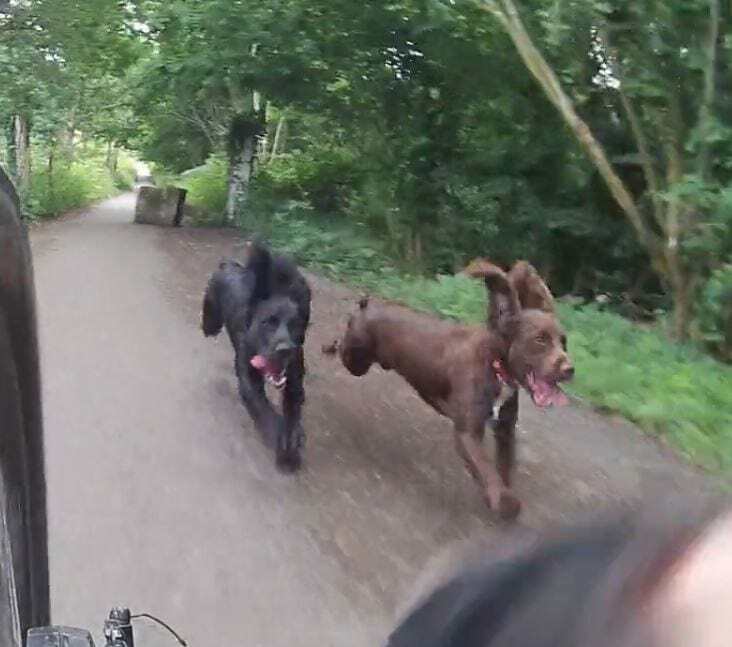 Harvey and Willow shred the trail in One Bike Two Dogs in the woods. Harvey (black) and Willow (brown) open up full stride and know where the next water spot is to cool off. One Bike Two Dogs Harvey and Willow in the woods.